By 2018, Canada will become the second country in the world to fully legalize the retail sale of marijuana. Here’s the full plan. Marijuana will be readily available across Canada by next year, under Justin Trudeau’s new plan to regulate, tax, and sell the drug. The plan is entitled “The Cannabis Act” and will allow Canadians to buy and possess 30 grams of marijuana, or the equivalent in edibles or oil. Since the plan was introduced by the governing Liberal Party, which holds a majority in Parliament, it will almost certainly become law without significant change. The minimum age for possessing marijuana will be 18 on a national level, although younger users won’t be prosecuted — at least not on the federal level. The plan will make Canada only the second country in the world to fully permit the retail sale of pot, after Uruguay. Other countries, like the Netherlands, have permitted selling marijuana in certain circumstances, while some regional governments, like Alaska, Colorado, and Washington, have also legalized. But the Canadian bill contains a number of contentious aspects that quickly generated sharp reaction, such as imposing stiffer penalties for anyone who sells pot to a minor, which could carry a prison term of up to 14 years. By comparison, selling alcohol to a minor in Ontario is punishable by up to a year in prison. A secondary piece of legislation also cracks down on driving while high. While the national law leaves much of the details of exactly what the legal market will look like to the provinces — much like it does with the sale of alcohol — it will require the provinces to create some sort of retailer and distribution model. 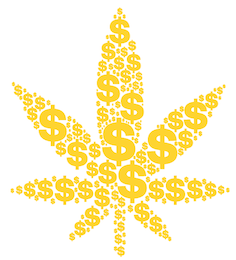 Most provinces have recently seen numerous marijuana dispensaries spring up which bill themselves as medicinal clinics. It is likely that some form of those shops will continue under the legal system. “The law as it stands today has been an abject failure,” Public Safety Minister Ralph Goodale said at a press conference on Thursday, alongside the ministers of justice, health, national revenue, and Toronto’s former police chief, who was Trudeau’s point man on the file. Over the next year, before legalization comes into force, buying and selling marijuana without a medical license will continue to be illegal, despite calls for the government to decriminalize the drug in the meantime. The new marijuana law keeps stiff penalties for anyone who tries to sell marijuana without going through the government system. It creates ‘hybrid offences’ — which means they are a mix of summary offences, which are considered less serious for which punishment is less severe; and indictable offences, which require a full trial and come with heftier penalties. It is often up to the police and prosecution as to whether someone is charged with a summary, or an indictable offence. Selling marijuana without a license: If the police catch you selling marijuana without permission, you could face a maximum fine of $5,000, six months in prison, or both, for a summary offence. That jumps to a maximum penalty of 14 years for an indictable offence. Selling marijuana to someone under 18 years of age: The penalty is a minimum fine of $15,000 and/or 18 months in prison for a summary offence, and 14 years for an indictable offence. Growing pot illegally: If you grow marijuana using illegal seeds, or grow more than the four plant maximum, you could face a fine of up to $5,000 and/or six months in jail, or the indictable offence of 14 years in jail. If you are a business or an organization, the fine could be up to $100,000. Canada already regulates companies that run large-scale grow-ops for medical marijuana, and will continue overseeing those companies when they move to the recreational market. Canadians will also be able to grow up to four of their own plants. The one big missing piece thus far is how Canada will tax the drug. Some estimates have put the possible government revenue at anywhere between $600 million to $5 billion CAD. The decision on how to tax the drug will be made in the near future. The legislation followed closely with a task force report, which studied how Colorado and Washington went through with their own legislation plans. The new legislation still keeps some criminal law power to tackle those who stray outside of the regulated framework — those selling small amounts of marijuana without permission could be slapped with a $200 fine. Alongside the legislation to regulate and sell pot was a bill designed to curb and crack down on impaired driving. The legislation allows for police to do an oral swab of drivers if the police believe the driver has been smoking marijuana — much like a breathalyzer test. If the test comes back positive, police could order a blood or urine test. The test will measure how many nanograms of THC, the psychoactive chemical in marijuana, is in the driver’s bloodstream. 5 nanograms or more: Mandatory minimum penalty of a $1,000 fine for a first offence, with escalating jail time for those convicted more than once — from 30 days for a second conviction to 120 days for each subsequent offence. Maximum penalties range from two years (less a day) to 10 years. Alcohol and marijuana: If a driver is also impaired by alcohol, and has 2.5 nanograms of THC or more in their system, they could also face jail time. One big issue sure to confront Ottawa will be how it handles the Trump administration, which has made no secret of the fact that it is looking to roll back the clock on former President Obama’s softening on the war on drugs. Legal marijuana in Canada will undoubtedly have an impact on the accessibility of pot in America, its largest trading partner with whom it shares a 5,500 mile-long border. “No one should lie at the border,” Goodale told journalists. He did not, however, offer much in the way of reassurances that Canadians who admitted to smoking marijuana — legally — would be allowed in the United States. The Cannabis Act makes it illegal to carry marijuana across the border, with a maximum punishment of 14 years in prison. Canadian marijuana producers will be able to export and import the drug, but only with specific approval from the government.